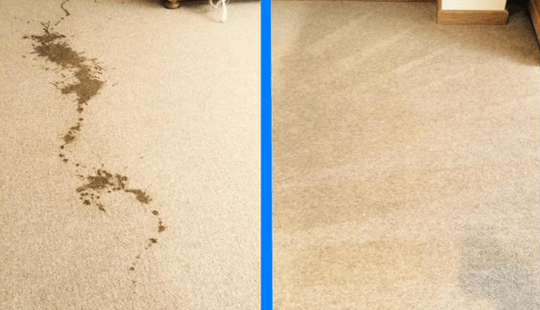 We specislize in carpet cleaning, hard floor, curtain and rug cleaning in Tunbridge wells. No job is too big, and no job is too small! We offer a premium quality maintenance package for carpets, upholstery, rugs and curtains within the commercial and business environment.  We believe that we offer the very best service in the area, for both homeowners who would like to restore their property to its former glory and to those who are vacating a rented property and wish to have their deposit returned in full. While you would normally have to hire a spring cleaning service and a carpet cleaning service separately, when you come to us you get both at the same time, saving you not only a lot of hassle, but also a considerable amount of money too! We specialize in carpet cleaning, curtain and rug cleaning in Tunbridge wells. No job is too big, and no job is too small, give us a call! Do you run over it with a vacuum cleaner once a week and think that is enough? Your Carpet harbours dirt, sand, soil, dust mites and bacteria and you walk on it every day in bare feet? The major carpet manufacturers recommend a professional cleaning every 12 to 18 months to maintain the appearance and warranties of your carpeting. We recommend twice a year, or even more if you have small children, pets or if you suffer from allergies. No amount of vacuuming will clean dirt from the fibre of the carpet, so eventually you will need the services of professional carpet cleaner. We are a local and reliable carpet and upholstery cleaning company based in Tunbridge Wells, Kent. Tunbridge Wells carpet cleaners is a family run business since 1991. 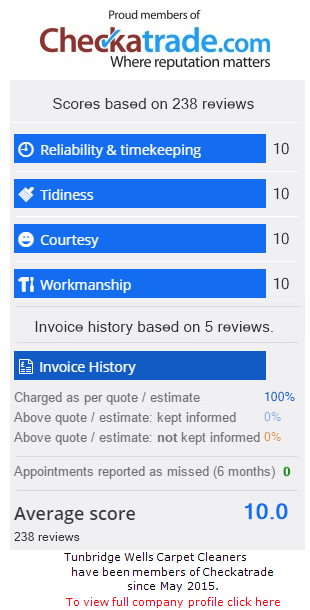 We offer a 1st class service with very competitive prices guaranteed! There are no hidden charges or added charges on completion of the job. We use the latest techniques, the most powerful equipment and detergents to ensure the best job for your carpets and upholstery. Our company has a proud reputation for providing the best carpet and upholstery cleaning services in the South East. Apart from carpet cleaning we also clean rugs, curtains (on site), mattresses,upholstery, car upholstery and pushchairs. We use the hot water extraction method of carpet cleaning (steam cleaning) alongside with environmentally friendly biodegradable products supplied by Prochem – market leader in the development of safe and effective carpet cleaning chemicals. Hot water extraction (steam cleaning) is the only guaranteed method of carpet cleaning to give you a real deep, hygienic clean to your carpets. Do not be misled by companies advertising dry cleaning methods stating “No More Wet Carpets” etc. Our carpets are only slightly damp at the end of the cleaning and will be fully dry in a couple of hours max! Dry cleaning of carpets is a method of a powdery substance called host, looks like damp saw dust, it is then scrubbed into the carpet and then hoovered up. Would you seriously throw powder over your clothes, vacuum it off and think that you have given your clothes a real deep clean?! NO! that is why we put our clothes into the washing machine with water and detergents Our operators are fully insured, trained and experienced in commercial and domestic carpet and upholstery cleaning. We Can Guarantee We Are One of the Most Competitively Priced Carpet Cleaning Companies in Kent. We Will Beat Any Legitimate Written Quotes!